1. Trace the feather template onto the backing paper of the iron-on adhesive. 2. Place iron-on adhesive (paper side up) onto the wrong side of the applique fabric and iron into place using a dry iron. 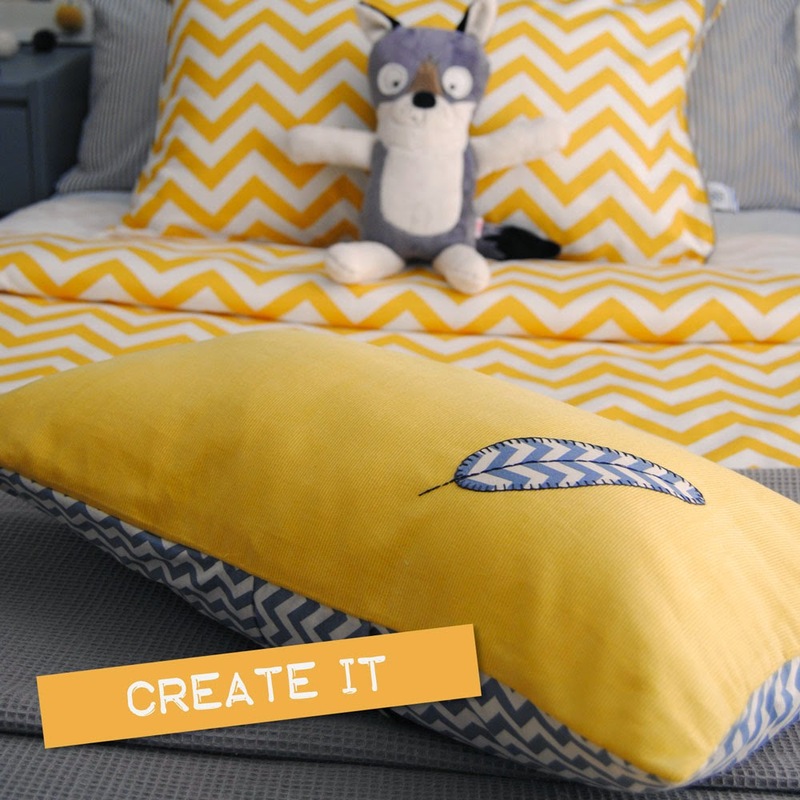 Position the feather template to work with the chevron pattern. 3. Allow to cool, then cut out your feather shape. 8. Secure and trim your embroidery thread and remove the front panel from the hoop. 2. Pin in place and machine stitch the hem. Repeat on the second back panel. 4. Machine stitch all the way around your cushion. 5. Carefully trim the corners. Turn your cushion right side out, press, and fill with the cushion insert. Great tutorial! Love the fabric choice too! So bright and cheerful!